ACR2 CMM Change Rack - CMM Inc. The ACR2 autochange rack on the on PHS1 servo head allows probe extensions or adaptors to be exchanged to suit the probing task that is being completed. This is done without manual intervention. The autochanging arm enables exchange between M8 and autojoint probes. The ACR2 can store up to six probe extensions or probe adaptors and all locking and unlocking of adaptors and extensions is done by the motion of the machine. 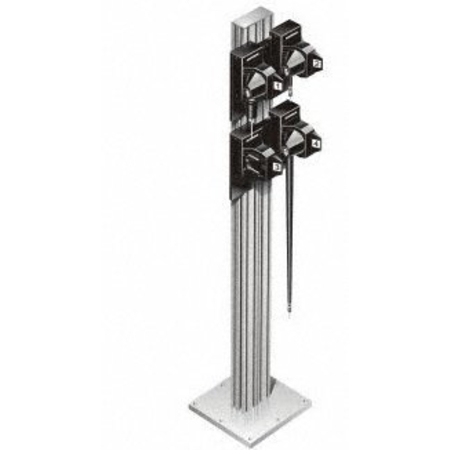 Thanks to itsflexible construction and simple operation, any number of racks can be positioned on a pillar anywhere within the machine’s volume.